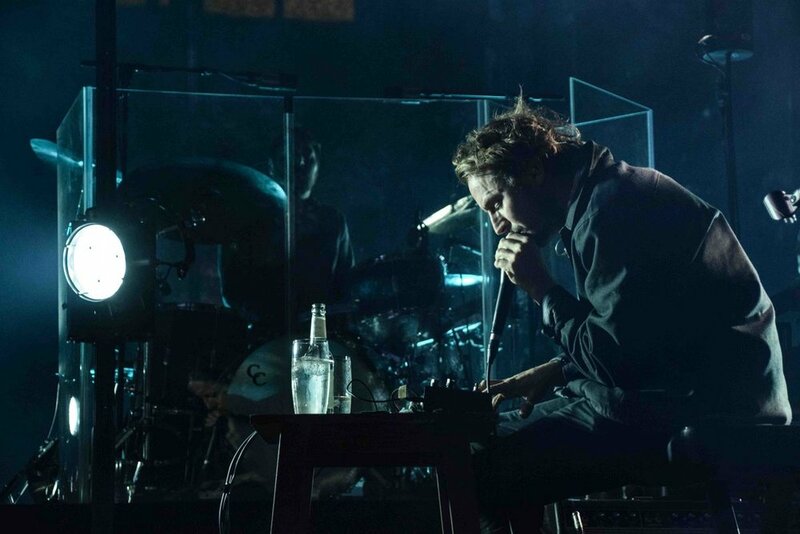 Ben Howard’s SSE Hydro gig is definitely one to try and forget! The SSE Hydro is a venue that has gained a strong status of being a venue where the biggest and hottest bands in the music scene come to perform. It’s a venue that all up-and-coming bands dream to have the chance to perform at, it’s a venue built for excitement and amazement and overall expected to be a great night, but Ben Howard’s gig landed so far from being anywhere near an exciting and amazing night. Ben Howard’s support for the night was Gwenno (a Welsh musician). It was at this point I began to lose faith in the night. As Gwenno is a Welsh musician, naturally all her songs were sung in welsh. Now there is nothing wrong with that and I’m sure myself and everyone else at the gig appreciated the music but when there’s a language barrier, you quickly begin to lose interest and that’s what I saw from the audience as well. There was no atmosphere in the room at all. The crowd stood and looked at the stage and that was all that happened for the entire set. Next came the half time break. Where I got my personal highlight of the night…the overpriced hamburger and even that wasn’t anything special. Regaining my seat to prepare myself for Ben Howard’s set was the easiest task I’ve ever had. The venue hadn’t been packed with fans from the very start but there was a lot less from what I was expecting. Next the lights went off, music played and fans clapped and cheered as Ben Howard entered the stage; this is where I got my hopes up. Thinking about it now, even the cheering of fans seemed quite poor compared to other gig experiences I have had. Ben Howard came on and went straight into the first song. My initial thought was that he could maybe save the night but after hearing more songs, everything just sounded very similar and repetitive which then took the interest away from the set. Additionally, his music is filled up with a lot of different instrumentals and effects all at one time, and it felt like this drowned out his vocals and made it was quite difficult to hear him at times. Ben Howard had no stage presence and hardly communicated with the audience which just made him more unexciting to watch. His music isn’t the type for people to jump to or even for him to run about the stage, but he just stood still the entire time and it quite frankly made it really boring to watch. I noticed people were starting to leave and I managed to ask a couple of people what their reasoning for leaving early was, to which I got a reply of “getting a McDonald’s is better than this”. Which was fair I suppose as the night so far hadn’t seemed to appeal to anyone. Most of the time I found myself looking at the artsy lights hitting the back wall of the room as those were the only thing interesting to watch during his set. Ben Howard will be performing again in the new year and I hope those nights turn out better than this one.